Whether you’re in the market for a Chevy Silverado 1500 or a Ford F-150, you’ll want Arrotta's Automax & RV to be your go-to resource for all things used. Compare AWD to 4×4 with us. Then, when you’re ready to buy, apply for financing online. This 2012 CHEVROLET TAHOE LS 5.3L V8 4X4 SUV is a great vehicle for families. If you are looking for a tough long lasting vehicle, this Chevrolet Tahoe is a great option for you. The speed and passing capabilities of this model will impress. This vehicle will stick to the ground on the sharpest of turns. With exceptional handling, you will enjoy every curve of your favorite roads. This Chevrolet Tahoe has quick acceleration. This vehicle is roomy and has a smooth ride. This model comes loaded with all the features that will meet your needs and then some. Be sure to review the options listed on this page. With these performance numbers, you won't be disappointed when you take it for a test drive. Enjoy your driving more! This is one of the most exciting vehicles to drive in its class. It has dependability you can trust. This unit comes standard with numerous top of the line safety features. This model has the durability you can depend on as the miles tick away. The Tahoe is a versatile vehicle. This model is designed to handle any icy road condition that Mother Nature can throw at you. Your passengers will feel safe with stable braking and handling on all road conditions. It has a 5.3 liter 8 Cylinder Engine high output engine. This model has an automatic transmission that includes a manual shifting mode. When you encounter slick or muddy roads, you can engage the four wheel drive on this model and drive with confidence. The FlexFuel capability of this Chevrolet Tahoe allows you to select fuel depending on the price of E85 versus gasoline. This vehicle exudes confidence with its fine maroon finish. Anti-lock brakes are standard on this 1/2 ton SUV. Icebox AC keeps this 2012 Chevrolet Tahoe cool all summer long. Lightweight alloy wheels on this Chevrolet Tahoe are the perfect compliment to a stylish body. Bring all your music with you along for the ride in this vehicle with its mp3 player aux input jack. Protect this 2012 Chevrolet Tahoe from unwanted accidents with a cutting edge backup camera system. Easily set your speed in this model with a state of the art cruise control system. Increase or decrease velocity with the touch of a button. The Electronic Stability Control will keep you on your intended path. The fog lights cut through the weather so you can see what's ahead. This vehicle has front airbags that will protect you and your passenger in the event of an accident. Stay safe with additional front side curtain airbags. A full-size spare is included. This model features a hands-free Bluetooth phone system. With the keyless entry system on this unit, you can pop the trunk without dropping your bags from the store. The leather seats in it are a must for buyers looking for comfort, durability, and style. You'll never again be lost in a crowded city or a country region with the navigation system on this 2012 Chevrolet Tahoe. This 2012 Chevrolet Tahoe is outfitted with an OnStar communication system. Enjoy the convenience of the power liftgate on this 1/2 ton SUV. This model comes with power adjustable seat to get your seat just right for you. Power seats are a must! This Chevrolet Tahoe has convenient power windows. The state of the art park assist system will guide you easily into any spot. Expand the cargo capabilities of this vehicle by using the installed roof rack. This vehicle comes with running boards already installed. The satellite radio system in this 1/2 ton SUV gives you access to hundreds of nationwide radio stations with a clear digital signal. The Tahoe features a tilt steering wheel. The vehicle features tinted windows. This 2012 Chevrolet Tahoe is equipped with a heavy-duty towing package. The traction control system on this vehicle instantly senses tire slippage and executes minute power adjustments to maintain traction at all speeds. with XM/Sirus Satellite Radio you are no longer restricted by poor quality local radio stations while driving this model. Anywhere on the planet, you will have hundreds of digital stations to choose from. The supply is limited! If you are serious about this vehicle, we recommend you move fast. Why Choose Arrotta's Automax & RV for an AWD or 4×4 Model? We Finance Anyone program. Little credit history, poor credit history, or are you just a victim of poor financial circumstances? No worries. Our program will help you get the AWD or 4×4 model you deserve at agreeable terms. 30 Day Guarantee. Does your vehicle not work out for you? Don’t worry. Take the drive from Seattle to our dealership in Spokane and we’ll let you replace it. First Time Buyer Program. We get it. Buying your first vehicle – whether it be a AWD vehicle or 4×4 vehicle – is intimidating. But Arrotta's Automax & RV is here to serve you, the customer – and that’s why our program will make it easy. 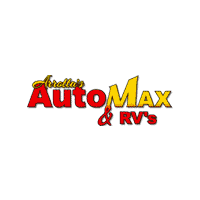 Ready to experience the Arrotta's Automax & RV difference? Take the drive from Liberty Lake, WA to our dealership today to test drive one of our 62 AWD or 4×4 vehicles for sale. Contact us online for questions – or to get started in the used car buying process.